Welcome to the 2015 Golf Preview, where I’ll take a look at selected golfers and examine what to expect over the next twelve months. 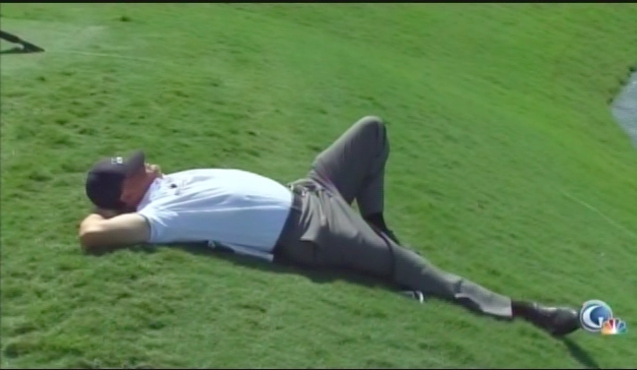 Today, we look at Phil Mickelson. 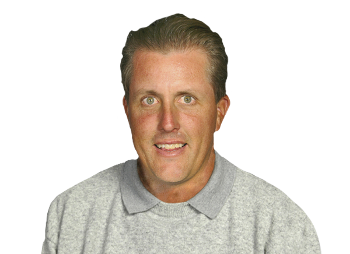 If you’re reading this blog, chances are that you already know the history of Phil Mickelson, so I won’t bore you to death with the details there and instead, I’ll just take a look back at what happened in 2014, which was an incredibly interesting year for Lefty. Coming into 2014, Mickelson talked a lot about his goals for the year, namely that he wanted to complete the career grand slam by finally winning the U.S. Open, an event that he has finished as the runner-up six times. He was going to play less in 2014, opting to build his schedule around Pinehurst and to start the year, it really did look promising as he finished tied for second in Abu Dhabi. From there though, it all seemed to come apart. The next six events on the schedule saw Mickelson miss a cut and withdraw twice with injury and he followed that up by missing the cut at both the Masters and the PLAYERS. The play was wildly inconsistent from one round to the next and even when the result was good, such as his T11 at the Wells Fargo, the scores were all over the place. That week, he went 67-75-63-76 and as he approached Pinehurst, there was really no reason to believe that he could pull it off with the way he was playing, and he didn’t, never breaking par for the week and finishing in a tie for 28th. He played decently for the rest of the season, including a run at the PGA Championship where he finished as the runner-up to Rory McIlroy, which was his lone top-10 on the PGA Tour in 2014, but for the first time since 2003, Mickelson went winless and finished 38th on the money list. He did manage to qualify for the Ryder Cup though and played well despite inexplicably sitting out for the entire day on Saturday, and he didn’t mince words about it afterwards, throwing captain Tom Watson under the bus for his management and kickstarting the incredibly pointless Ryder Cup Task Force. Like I said, 2014 was an interesting year. How old is this photo? Payne Stewart hasn’t told Phil he’s going to be a father yet. When was the last time you saw Phil with hair like that? The grey on grey attire is something too. This one’s going to be tough to top. Tournaments are just way more fun when Phil is in contention because you never know what he’s going to do or what he’s thinking, and even with how aggressive some players are today, there’s no one quite like Phil Mickelson. Drives it right and into the trees/pinestraw, with seemingly no angle at anything other than a layup because he’s blocked by the tree. He discusses it with Bones and decides to go at the green despite only having a two-shot lead. He actually pulls off the shot somehow, getting it to about five feet from the pin. Is his time as a consistently elite player over? There’s no doubt in my mind that Phil Mickelson is going to win more tournaments and probably another major before his career is over, but I think we’re at the point where Mickelson’s time as a consistent force could be done. Prior to 2014, he talked about how despite how great he felt, he still needed to slow down and reduce his schedule, which he did and part of that is an acknowledgement that he’ll be 45 at the U.S. Open next year at Chambers Bay. When Rory talked last year about how Phil and Tiger were on the last runs of their career, it wasn’t an insult by any means; it was just the reality of the situation and while you can play golf at a high level for a longer time than other sports, there is still a shelf life. Phil proved last year that he can still get it done, with Valhalla being the most prominent example, but it was also plainly obvious that he wasn’t getting it done with the same kind of frequency that we have become used to. Of course, it would be the most Phil thing ever to come out in 2015 and win that U.S. Open and a few other tournaments after looking like he was starting to fade. You just never know with him, right? Phil is still my favorite player. He is exciting to watch and I have picked him to win the US Open. It is time and he is ready. Great article. It could certainly happen, although I’m not sure that Chambers Bay is the right fit for him.